OB has its first storefront dedicated solely to e-cigarettes after the recent opening of Ocean Beach Vape Shoppe and Lounge. The store opened in the beachfront center at Abbott Street and Santa Monica Avenue, tucked away behind Shades Oceanfront Bistro and Tower Two Café. It’s the second store in San Diego for the owners. Pacific Beach Vape Shoppe, at 1477 Garnet Avenue, has already been open for a few months. Store manager Rachel Lester said customers can purchase e-cigarette devices, also known as “vapes,” and a number of nicotine-infused flavors. There’s even a lounge for people to sit at and enjoy their vapes, although it may be only a matter of time before these devices are regulated. They have already been banned in businesses and restaurants in Carlsbad. They have also been banned in major cities like Chicago and New York City and heavily regulated in Los Angeles . No doubt this will be a hot topic in the coming months as other communities decide how to deal with these devices, which opponents say is just another way for tobacco companies to get kids hooked on nicotine at a younger age. Proponents say it’s a way for current smokers to ease off traditional cigarettes and the vapor they produce is not harmful to others. What do you think? Should vapes be allowed in businesses? Another Pot Dispensary Coming to Voltaire? In other smoking news, a marijuana dispensary is rumored to be opening on Voltaire just west of Sunset Cliffs. Gregg’s Art & Surf Co., a surf shop that also showcased the works of artist Gregg Sullivan, closed in October. Sullivan owns the building and says he is in the process of renting it to someone who plans to use the space as a dispensary. I talked briefly to the potential dispensary owner, who said he would call me back and tell me more about it last week. He has yet to do that and won’t answer any subsequent calls. The Ocean Beach Collective dispensary is located just down the street from the location, but is believed to be closed (but that’s also just a rumor). Actually, the folks in the new vape shop told me this is their third – they started in Hillcrest, then took over someone else’s operation in PB, then came here. They seem like some good folks. As far as the anti-vape thing, I think it’s a bit ridiculous to lump these products in with those that contain tobacco, whether or not it’s intended for burning. It’s also a stretch to say that they’re intended for “dual users” who still smoke – virtually everyone I know that’s used one did so with the intention of quitting smoking, as my wife and I did nearly eight months ago. I’ll concede that there are still some unknowns health-wise, such as how USDA-approved food flavorings differ in their effects when mixed with medical-grade humectants and inhaled, as opposed to when they’re mixed with just about any processed food or drink and swallowed, but I’ll take my chances that it’s not as bad as the 4,000+ chemicals found in a typical processed cigarette. The lack of second-hand smoke, lack of smell, and my own anecdotal evidence that tells me I’ve gained a noticeable amount of lung capacity and enhanced senses of flavor and smell while reducing my nicotine intake by 2/3 and not feeling the slightest urge to relapse to burning tobacco are all pretty good in my book too. A couple of close friends have switched to vape or quit all together shortly after. Good for you, Dave. Cigarettes are just a nasty habit. The big issue people are having with e-cigarettes is the propensity of marketing to kids. It seems while older people use them to get off of cigs, tobacco companies are using them to get the younger folks hooked. Not saying I necessarily believe that, but it’s what I hear. As for the second part, San Diego is actually the national leader in butane fires — which is what is used to obtain hash oil to use for vaping devices. Places are blowing up left and right around town from people trying to make this stuff. Kinda scary. This is the email I received about the new dispensary, Blue Lotus. I believe it’s in the same location it was last year before they got robbed right next to Karen’s Consignments. I’m bummed to hear about Gregg’s shop closing. He was a cool guy. But am excited to hear that a dispensary may open there. OB Collective closed a very long time ago that I know of. Unless it has reopened. Hope we’ll be following in WA and CO footsteps very soon! The dispensary has been operating for some time. Rather than imposing restriction on indoor vaping I think the government should leave this decision on private property owners whether they want to allow it or not. I Congratulate Mr. Rachel on opening of second store in San Diego! 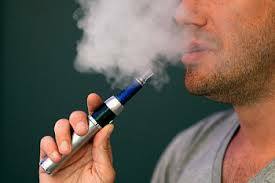 What if there is restriction on sale of E Juice at public places? But there is no need to worry about that. Before reading this I just visited on Facebook page which seems promising to deliver my favorite E Juice at my doorsteps which is vital to share it with everyone. https://www.facebook.com/EJuiceBox. So if in future they are continue implement restriction on other states of the USA it’s better to know about the alternative way much earlier.